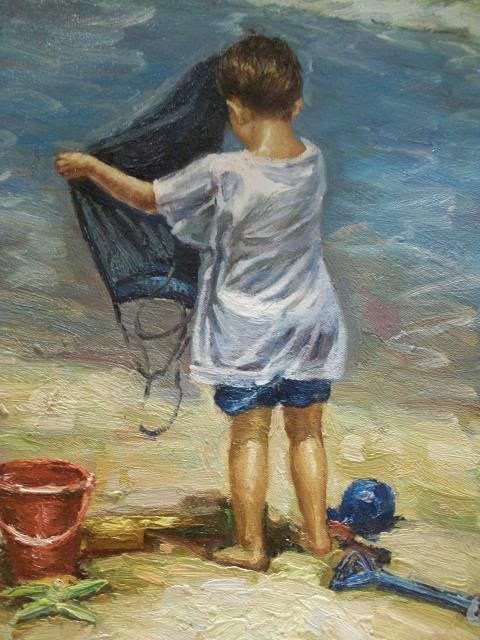 Handpainted oil on canvas boy at the beach. 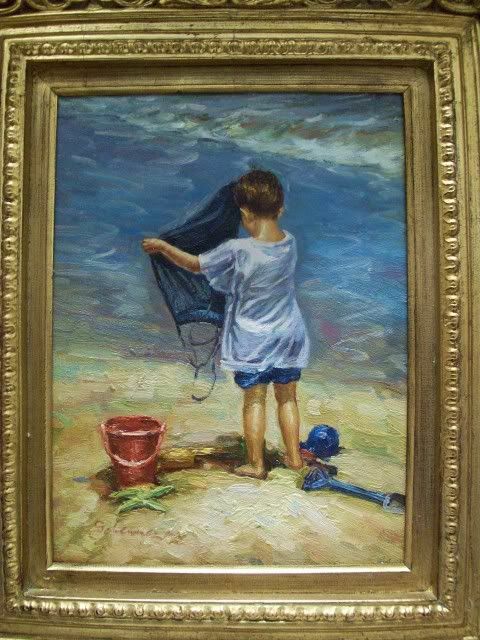 The canvas measures 12 x 16 ,framed it measures 22 x 26" with a 2' projection. 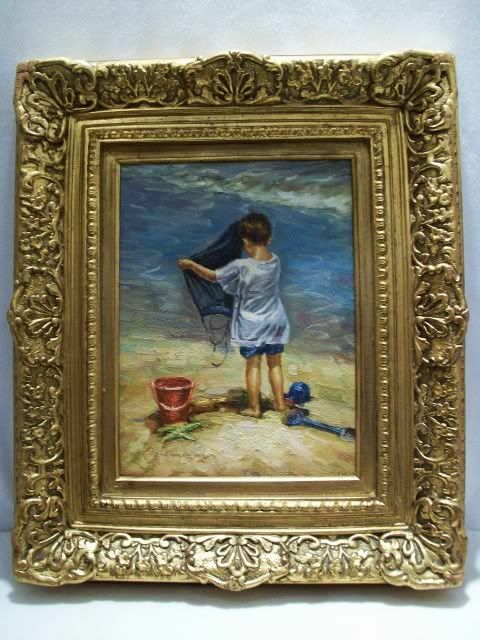 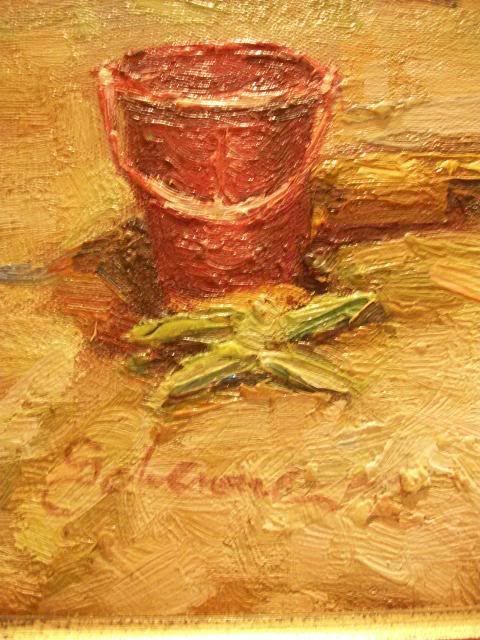 The painting is contemporary and artist signed.